In some areas of the country antiques dealers are on just about every corner, but some of those arent offering genuine antiques. How can you be certain that you are dealing with a reputable shop? One way, of course, is to do your homework about the pieces that you are interested in buying. The more that you know about the object, the better prepared you are to locate an authentic piece and a dealer with integrity. Looking for an antiques price guide can help you to have a better idea of the price of the item that you seek. That way when you enter an antique shop, you can judge their pricing. Kovel.com is a fine website to investigate antiques. Listings from jewelry to porcelain and furniture to toys are on the site. You can search the directory of services, the antiques price guide and for the marks on items. A mark is an identifier from the maker of the item. Sometimes it can be a design or line or it can be initials or a picture of an animal or other character. Find the type of mark in the list and you can narrow down the century and the country of origin. Armed with this information, you can be sure that the antiques dealer that you speak with is knowledgeable because (s)he should be able to verify the century and possibly identify the mark for you, as well. Another way to determine if you are buying and selling with a reputable dealer is if they belong to the Antiques Dealers Association, a non-profit trade association dedicated to keeping the buying and selling of antiques as professional as possible. To become associated with the ADA, you must be in the antique business for at least four years, be recommended by peers and sign an agreement that youll abide by their by-laws for honesty and integrity. Membership is renewable annually, so the standards are kept current, if they are affiliated with the ADA. 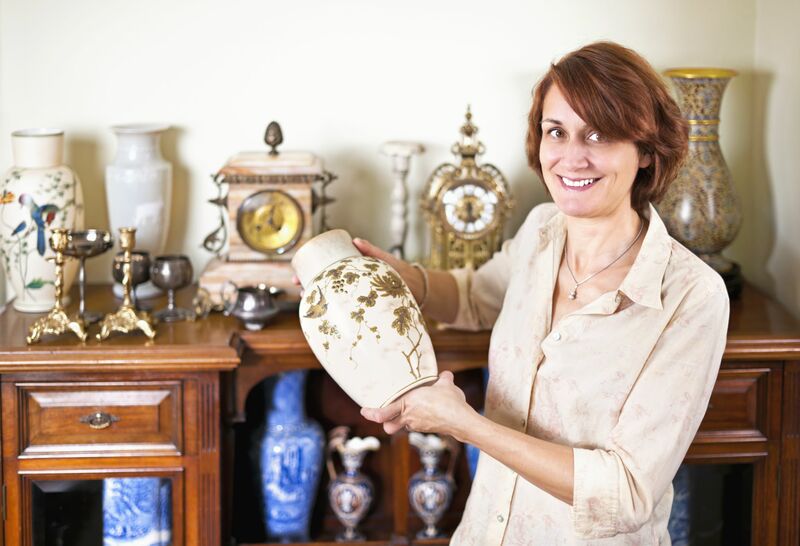 Many people who are fairly new to the collection of antiques might have become hooked on them because of the Antiques Roadshow, a popular PBS television show. The show highlights antique experts giving appraisals to people from across the country. The quirky tales of how some pieces came to be in a persons possession and the funny and touching stories about family heirlooms and collectables has made the show a hit. The Antiques Roadshow website has ideas for teachers who are looking for creative ways to teach history, geography and other topics and a glossary that helps to identify objects and to translate some of the experts phrases heard on the show. Check out where the next appraisal event will be and maybe you can get good news about your dusty collectible or cherished heirloom. Antiques dealers can be quite common, but to locate the best ones in your area, a little homework is recommended. Whether you begin with the Antiques Dealers Association website or perhaps a browse through Kovel.com, getting an idea of where and when your piece originated from can help you in finding a reputable dealer to sell or to appraise the item for you. Antiques can provide a glimpse into the past and provide us with rich stories. Collectibles are always worth something to the collector. Locating the best dealer to assist you in the search for an antique or the sale of one can be a good way to know that you will get or pay a fair price for the item(s). An antique can be so much more than just something old.